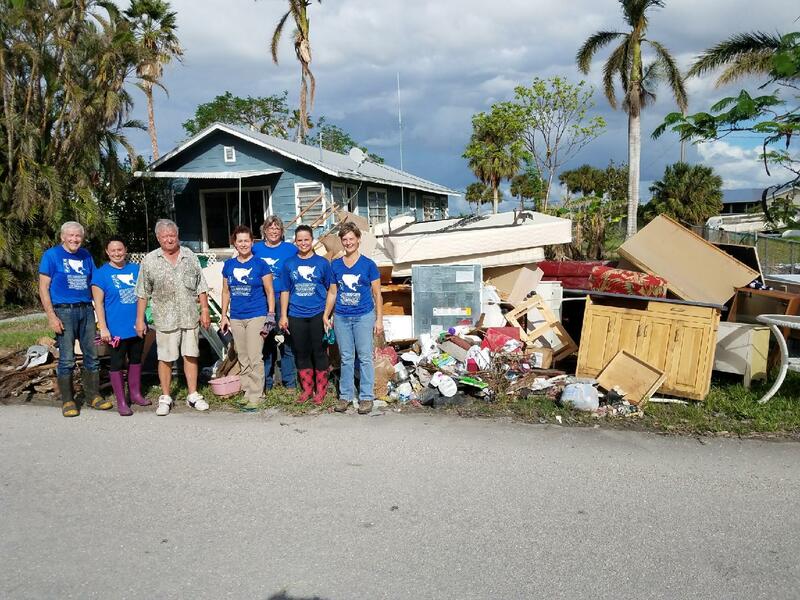 Headwaters Relief Organization’s national and international volunteers have contributed their time and energy throughout this very busy year. Earlier in the year, we assisted in Tennessee following the wildfires, and in Arkansas and Wisconsin in response to flooding events. Our current operations include clean-up, debris removal and drywall removal in Texas and Florida following Hurricanes Harvey and Irma. Our mental health team is providing psychosocial support and training in Puerto Rico and Jordan. We also worked in Greece in the refugee camps to provide medical coordination and mental health support as well as training to the camp medical professionals. We distributed our Ebola children’s book, When the Great Sickness Came, worked with survivors of Ebola and provided education and training to those working in the field in Liberia and Sierra Leone in partnership with the Healy International Relief Foundation and Caritas-Freetown. A book for children refugees is currently being developed. Our long term support to children in Haitian schools and orphanages is on-going and includes donations of food, clothing and school supplies. We also provide medical care and play therapy. We continue to develop and provide public health education and training to address multiple concerns. Numerous Headwaters’ volunteers are sponsoring education programs for Haitian children. We are currently distributing 90,000 units of Off Bug Spray donated to Headwaters by SC Johnson, throughout Haiti, in partnership with Food for the Poor and other NGOs working in Haiti. 100 % of your donation to Headwaters Relief Organization directly supports those that receive our disaster relief services. Any amount will help us to continue to provide a broad array of services to those affected by disaster. Thank you for your support. Simply visit Headwaters Relief page here to make your gift. All donations made now through November 15th, 2017 will automatically be scheduled to be processed on November 16th, Give to the Max Day. This year, $500 Golden Tickets will be awarded at random each day from November 1st through 15th! As in previous years, Scheduled gifts will count toward the #GTMD17 final total and are eligible for Leaderboards and Golden Tickets, including one Super-Sized Golden Ticket worth $10 ,000!